Y'all. 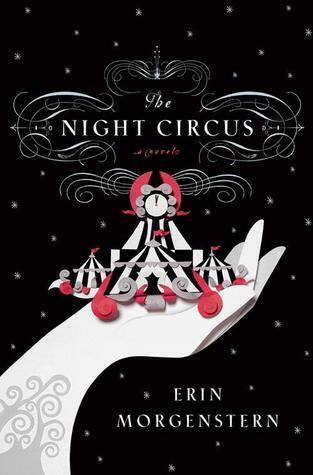 I'm not sure why it took me so long to read The Night Circus, by Erin Morgenstern. I think when it came out I was caught up reading a lot of other things, and just didn't pay much attention to the reviews except to note that they were a mixed bag. But when a recommendation from my good friend Mary coincided with an available credit on Audible -- well. This book. Two magicians, two schools of thought, one game. The venue: a circus. It's a simple premise, and a simple plot. But as the story unfolds and the game begins, things get complicated -- as they usually do. A circus means people -- people who are unwittingly players in an enigmatic game with few rules and no end in sight, a game overseen by two men who have been dueling by proxy for a very long time. While The Night Circus does have an interesting plot, the book is really about the characters, the setting, and the atmosphere. It's a book that unfolds slowly, carefully, and beautifully. It's a book that seeps into your consciousness. It's a book with many layers and hidden corners, where every detail is deliberately and carefully chose. Nothing wasted. Beautiful. It's not a book for everyone, but it's my kind of book for sure. 1. I'm craving popcorn at the moment, but I'm too lazy to make some. I make it on the stovetop old-school style because I don't love microwave and don't have an air popper. I settled for some cereal...which is my number two favorite evening snack. 2. Baby sleep, man. It's a rough time in our house. I tend to be a fixer, and it's hard when I can't clearly identify the main problem (probably because there are many factors contributing to the rocky sleep situation). I guess it's just a matter of addressing one thing at a time, and remembering to give things time to work before trying a different tactic. 4. Downton Abbey is back!! I plan to thoroughly enjoy every moment of the last season. Although....I really think they could dial back on the Bates and Anna drama. 5. I really, really, really need to break my no-knitting streak. Partly because I miss it. Partly because I have a gift that's not going to make itself for a baby that's going to show up one day pretty soon. I'm just finding it hard to get back in the groove. 6. I got to see snow last week! I was in Missouri visiting family and it snowed! I may or may not have been compelled to step outside at one point to smell the snow. I've lived in the south too long. For a week I've been writing drafts in my head of a New Year post. But it's taken this long to actually sit down and write down some thoughts. Better late than never, right? I like celebrating the New Year. I like reflection and fresh starts. Obviously, you don't need a holiday to reflect on what's going on in your life or give yourself a fresh start, but sometimes it's nice to have a little encouragement to do that. (It's also one reason I like back to school time...even though I'm not in school). I think I've mentioned before that our friends in North Carolina have been hosting a New Year's Eve party for several years. One of the best parts is New Year's Day, when most of us get back together for breakfast and lots of coffee, think about the past year, and set some goals for the new one. It's fun, and in the process we've all learned a bit about setting New Year's goals. 1. Set goals -- not resolutions. A goal is something you're working toward, something to reach for and strive for, but also something that can adapt when reality presents itself. You don't break goals. You may not meet it exactly, but there's not the same sense of failure as when you break a resolution. 2. My friend Ryan schooled me on the proper way to set a goal: be concrete, and give yourself a specific time frame and/or parameters. For example: my goal is not to "get healthy." My goal is to lose 15 pounds by December and run two 5k races. My goal is not to "write more" but to write a certain number of days per week. 3. On the other hand -- it's also nice to have some less concrete goals. Like that I want to be more purposeful with my time, more intentional about investing in relationships. These kind of goals give me something to think about, give me room to be creative within the realities of day to day life. It's why I'm a big fan of the One Word concept. One word to frame your upcoming year. 4. Realize that you're not going to meet your goals on January 1. Which is good. Because I've got a whole year to work my way up to writing 6 days a week, playing my piano at least twice a week, and a few other goals I've got. 5. Be comfortable with the fact that some years, the only goal is -- this year has to be better than the last. That's not the case for me this year, but I've been there in the past and have had friends who are there now. And that's okay. The New Year isn't always about setting tons of lofty goals. It's about the rhythm of life, about taking stock, about not just reacting to life.